Kentucky is consistently ranked the unhealthiest state in the U.S. One of the primary reasons for this is lack of access to fresh food. This growing problem now affects people of all faiths. Farm-fresh food is one of the foundations for a healthy life. Lack of access to it, is a justice issue. 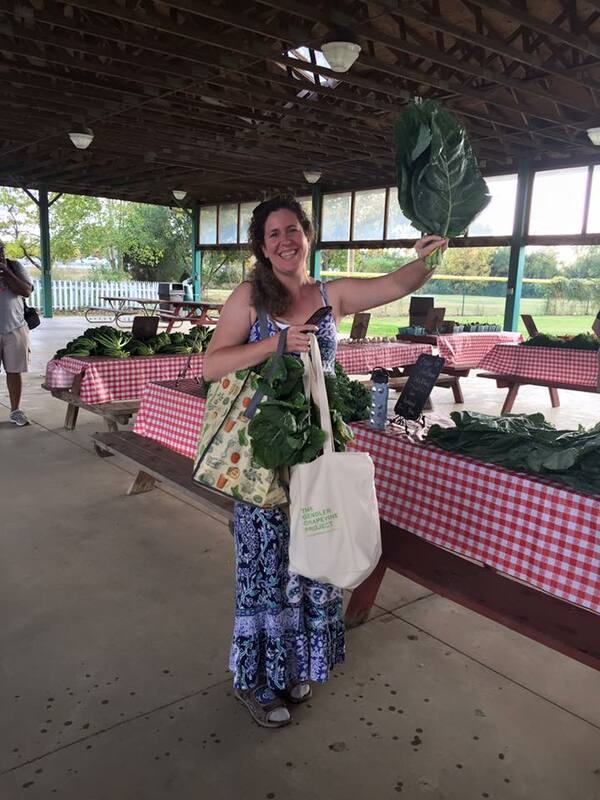 New Roots partnered with Hazon’s 2016 JOFEE Fellow to organize in the Jewish community of Louisville and beyond to create leadership opportunities for families with limited resources, JCC members, and others to design the Gendler Grapevine Fresh Stop Market. This Market “popped up” at Louisville’s JCC during the 2016 growing season. The food was paid for in advance so that farmers didn’t face the same degree of risk as they do with a standard farmers’ market. Families pooled their cash and SNAP benefits on a sliding scale to access a bi-weekly “share” of ten varieties of local, organic produce from Kentucky farmers. Local chefs provided demos and recipes of fresh, kosher food at each event, and other fun-filled activities were also offered.